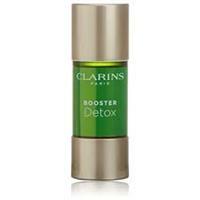 Clarins Booster Detox is perfect for congested skin and skin that has been constantly exposed to extreme pollution, smoke, and overindulging. Simply mix 3-5 drops with your Clarins moisturizer, mask, serum or foundation. 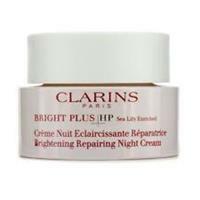 The Clarins Brightening Repairing Night Cream is a nourishing night-time treatment which turns around dull, uneven skin while you sleep. Clarins Exfoliating Body Scrub for Smooth Skin firms, and refines and softens your body by removing impurities and dead skin cells. This is an essential first step as it helps allow better product absorption. It stimulates cellular renewal. 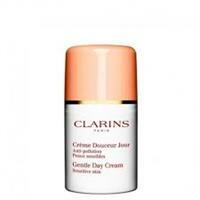 The Clarins Gentle Day Cream is a soothing and calming moisturizer for sensitive skin. It contains 90% pure plant extracts and promotes even skin tone. Clarins' best-selling, professional-strength formula, Hand and Nail Treatment Cream, protects against the drying effects of the hot and cold weather to minimize the signs of aging. It also conditions your nails. This alcohol-free, plant-based lotion gently cleanses and refreshes while removing dirt and makeup. 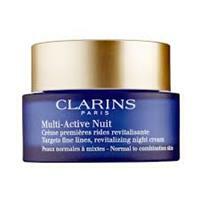 Clarins Multi-Active Night Cream fights the effects of daytime stress and aggressors for younger-looking skin. Finally a formula that soothes, nourishes, and smooths skin while you sleep to give you exceptional skin. 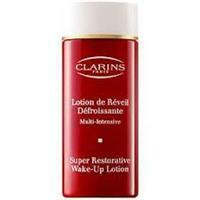 Clarins Super Restorative Wake up Lotion will have you looking refreshed in the morning! This smoothing lotion helps reduce the appearance of fine lines and puffiness.